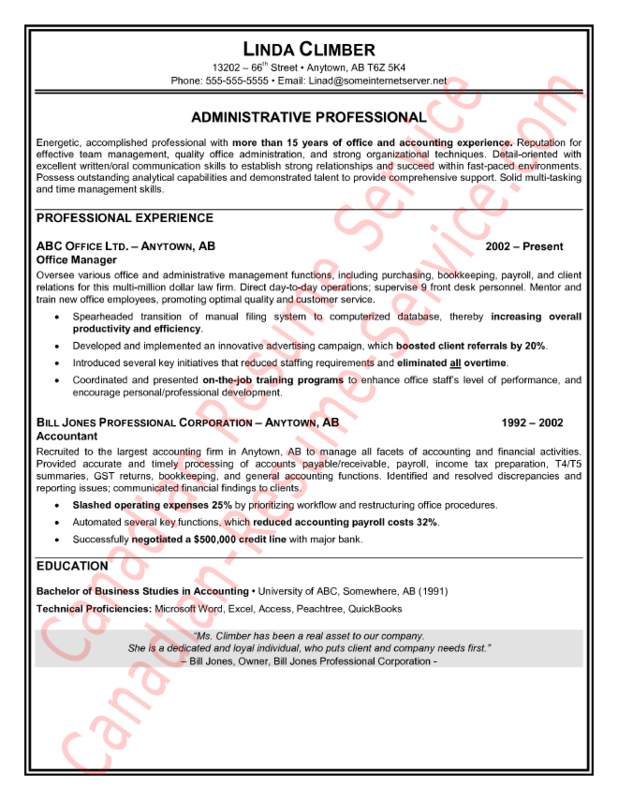 Review this administrative assistant resume sample. Linda had a strong background in accounting. However, she wanted variety in her career and desired a position that involved using various administration skills. Many accounting skills are transferable and important to the administration field, so a chronological format was used in this administrative assistant resume sample. Some of the skills we included were bookkeeping, payroll, purchasing, client interactions, filing and others that will position her to receive calls asking for a job interview. Bolding certain areas of the resume content and adding a powerful quote gives this resume a nice touch. The border brings this resume alive and will stand out in a pile of job seekers’ resumes. View this administrative assistant resume sample below.